Box Tops are an easy way for our community to earn money that will directly benefit our campus. Below is a list of products that participate in the Box Top program. 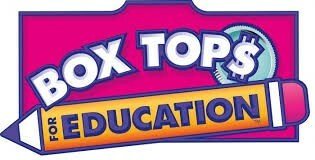 This year we will be collecting Box Tops in each scholar's classroom and also in the school office. We hope to do occasional raffles as motivation for our scholars and families to help make this program a success. Please cut out Box Tops (does not need to be closely cut, just neat) and verify that they have not expired and place in a baggy with the number of Box Tops written on it, as well as the scholar's name and grade. If every scholar clips just 20 Box Tops per year, we could potentially raise more than $1,100 for our campus. Please check out the Box Tops for Education website at boxtops4education.com where you can also find coupons, sweepstakes, and information on their app that can help us earn bonus Box Tops. Our first submission deadline to send in the Box Tops for reimbursement this year is November 1st, so please start collecting now! with the added bonus that Amazon will donate a portion of the purchase price to John Adams Academy. Simply select John Adams Academies Inc. as your chosen charitable organization, then shop and save!